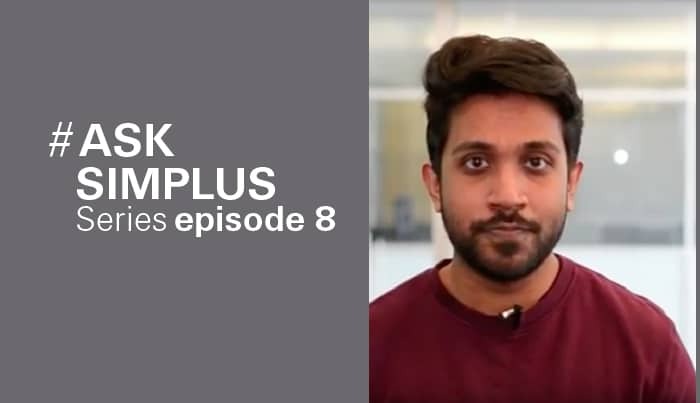 We’re very excited to have Salesforce Solution Architect and Six Sigma Black Belt Ahjaaz Alibhai on this episode of the #AskSimplus Show! Ahjaaz has been working with Salesforce for over four years and is both a Salesforce admin and an advanced admin. Ahjaaz discusses the value of operations knowledge and a process-driven approach in Salesforce (or any technology) consulting. As a tech consultant, it can be easy to fall into the trap of seeing yourself as a “techie” first and foremost. But it’s important to realize that you are first a consultant over anything. Although the technology is at the core of what we do, the implementations that we conduct exist within the bigger context of the business processes. As such, our approaches and methodologies should support this reality as closely as possible. You should ensure that your business processes follow industry standards and best practices, and then use the tech to support and enhance those components. It affords stakeholders better visibility into all company processes as well as unique line-of-business processes. It creates a common process-based language that can bridge the gap between IT and other departments. Many of the tools used to accomplish this process can be very familiar to IT stakeholders, such as scatter diagrams, Pareto charts, and histograms. But there are also many tools that may not be so familiar to technologists. A few examples are quality function deployment and failure mode effects analysis. It has been shown time and time again that these latter tools which are focused on customers, quality, and process can be the most enlightening and add the most business value. How can we improve processes? How do we utilize technology to solve those problems?